I know I sound really old when I start the familiar rant “….when I was a little girl”….But you have to agree that when we were children, life really was simple. And so much fun! 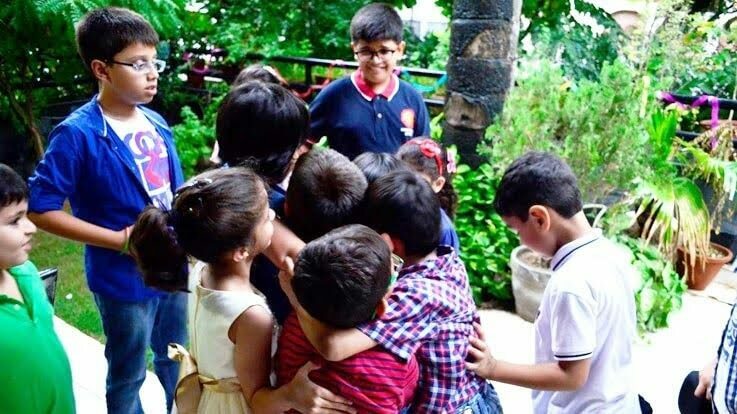 So when my friend Bhavna asked me for suggestions for her daughter, Mannat’s sixth birthday party, I thought why not combine the charm of my childhood with a genuine concern for the environment. What helped me also was the fact that Mannat is a smart young lady who really is aware of our responsibilities towards the environment. 1. Select a part of the park which can accommodate your group. It should not be too secluded, but also not right in the middle of the crowds. Ensure there are enough mosquito repellant patches and sprays handy. Invite one or two parents to come and lend a hand. In case, you cannot find a park, try a terrace or even the driveway of your home. 2. Welcome children with a drink. Give them lemonade. You can make it green by first preparing a paste of pudina leaves and then adding lemon juice and sugar in a blender to make the base. Dilute with water or soda. Or you can reduce the sugar and sweeten the lemon juice with Rooh Afza to get pink lemonade. Serve in paper cups and keep a large garbage bag ready to collect the used cups. 3. Now get the kids settled down for the games. Line them up at one end and give each one a spoon and a lemon. They have to hold the spoon in their mouth and place the lemon on it. They have to try and reach you at the other end of the place where you are holding the race, without dropping the lemon or touching it with their hands. If they drop it, they can pick it up and return to the starting point and start over. The first person to reach you wins. 5. Move on to the next activity. Creating Planters from used Cola Bottles. You will need acrylic colours, paint brushes, permanent markers (black), empty cola bottles that have been cut in half (one planter can be made from the round bottom part and another can be made with the top end). Arrange newspapers on the grass and give each child one half of the bottle and a paint brush. Ask them to paint the inside of the bottle any colour they want. They can paint dots, stripes, Hello Kitty (by painting the bottle white and drawing the eyes and nose with the permanent marker), a hedgehog by using the bottle top as the snout and drawing the eyes; let them use their imagination. Note: Keep hand sanitisers handy to clean up afterwards. 6. Now move on to the eats. 7. End with some music and skipping rope limbo. Get two children to hold two ends of a skipping rope at successively lower heights and the children have to go under the rope without touching it. This activity can continue till the parents come to pick them up. 8. As they leave, they take their planter with them as the return gift and you can also give them a real plant to put into it at home. If you have more time, you can include these games after the lemon and spoon race and before the painting activity. -Three-legged race: You will need scarves or dupattas. Pair up the children and tie their legs together at the ankles so that they have three legs between them. Line them up at the start point and race them to the finish point. -Passing the Parcel: This works really well if you have to move the party indoors because of bad weather or any other reason. Use a big ball as the parcel. Prepare some dares for the children to do when they get the ball. Write them on chits and keep in a bowl. Play the music when the ball is being passed around and stop the music. The child holding the ball when the music stops will have to pick a dare from the bowl and perform. 3. Palak and Corn Mini Pizza (To make the spinach and corn topping, first sauté some garlic and onions, add chopped spinach and sauté, add some milk and flour and cook till it thickens, season with salt and pepper).